CFI's scheduled adult and family programs take you to wilderness treasures and historic, inspiring places in Utah and Colorado. Choose a scheduled multi-day river or land trip or day tour, or plan a custom trip. Kids get to go to camp too! Our spring and summer camps offer outdoor adventures that will engage kids from middle through high school. We work with local personalities, guest experts, and quality, locally-owned services to bring you the best possible vacation or camp experience. Whichever trip or tour suits your needs, you’ll enjoy a balance of moderate physical exercise, optional nature hikes from camp or along the river, time to read from our rich trip library, great food and company, engaging conversations, spectacular night skies, and the profound silence of the desert back country. Enjoy nature and rock art hikes around the Moab area and in Arches or Canyonlands National Parks. Our Naturalist-Guides are fun, knowledgable, and experienced. Half and full day tours can be adjusted to suit your interests and physical abilities. We’re also great with kids! 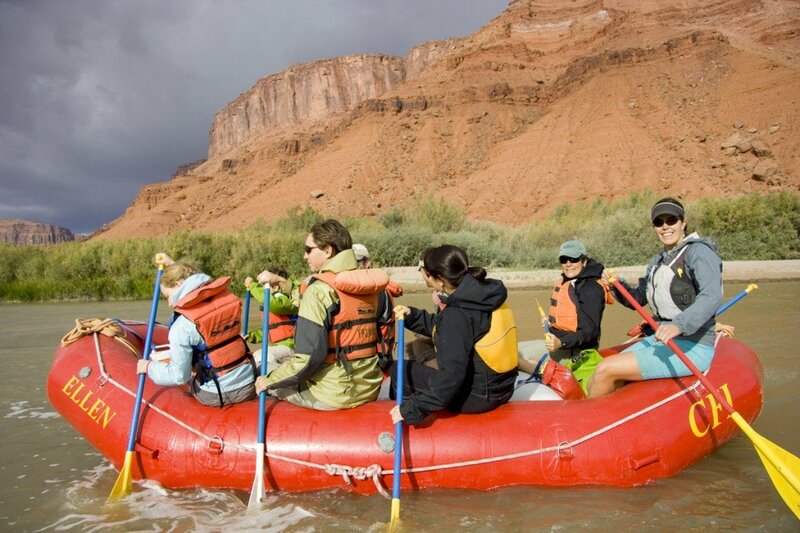 CFI offers river trips on stretches the Colorado, Green, Upper and Lower San Juan Rivers every season from mid April through late October. Each trip is a little different each time – we offer new highlights including guest educators, and interesting perspectives on cultural history. Our land trips take you to destinations you won’t find offered anywhere else! Plan a visit to the archeological sites at Range Creek, experience Navajo culture and the Diné way of life at Rainbow Bridge and Navajo Mountain, or explore the archaeological project at Cedar Mesa. We offer these and more! When school is out for the summer CFI offers fun and educational middle school and teen camps to keep your son or daughter engaged and excited to learn, forging new friendships, and staying involved in their community. Spaces fill quickly so sign them up now for the best summer ever!